Video was taken of the railroad switching operations at the Allied Paper Bryant Mill in 1994 by Patrick Welch and is shown here by his permission in mpeg-4 format. Click on a picture below to see a clip. 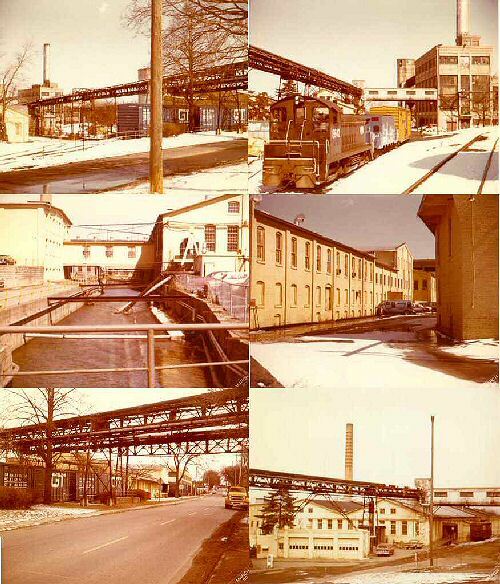 A scan from Mill C across to the Power Plant and then footage from Bryant Street. A Conrail locomotive spots boxcars at Mill D.
A Conrail locomotive spots box cars on the Mill C spur next to Bryant St.
A single boxcar is delivered to Mill D for loading. This day's switch features an ex-Pennsylvania Railroad caboose.